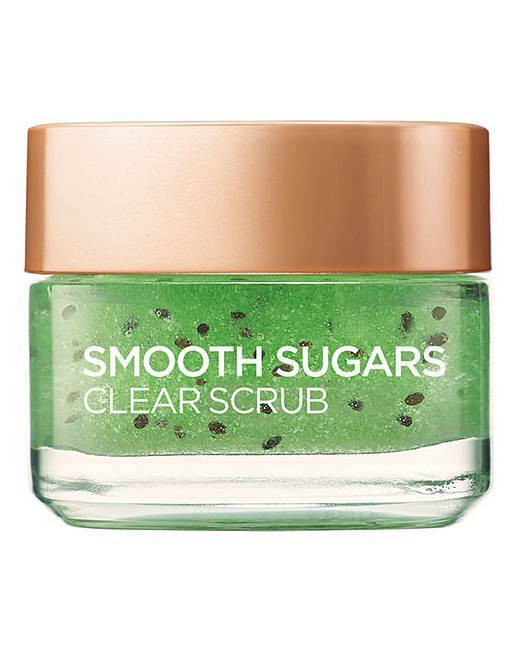 L'Oreal Smooth Sugar Clear Scrub is rated 4.5 out of 5 by 2. 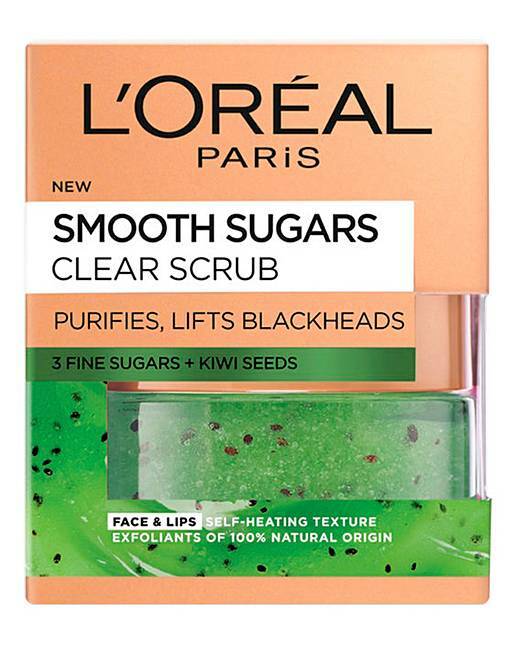 L'Oreal Paris Smooth Sugar Clear Kiwi Face and Lip Scrub. 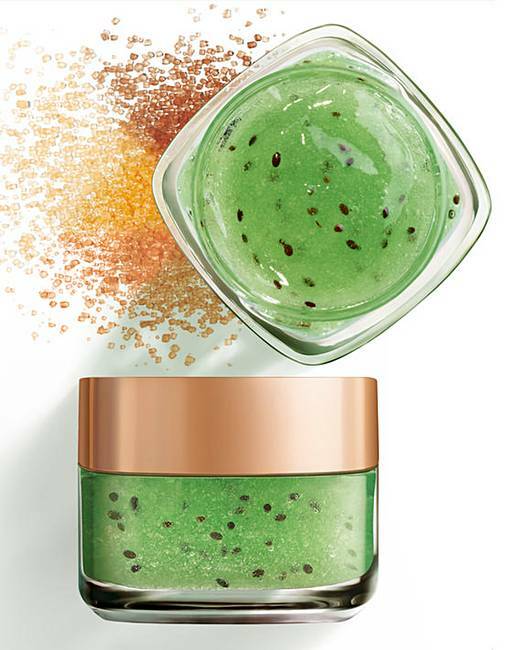 Discover the 1st sugar scrubs with treating actives in gentle textures for deep, yet gentle, exfoliation of the skin. A 100% natural, non-abrasive exfoliating scrub made from 3 fine sugars and kiwi seeds. To tackle blackheads, the Clear Scrub contains specifically clearing ingredients, including lemongrass and peppermint essential oils. The expert blend also contains 3 fine sugars; White sugar that melts on the skin while gently buffing away impurities and dead skin cells. Blonde sugar, which is a natural moisturiser, and brown sugar which is rich in minerals that help strengthen the skin's barrier. The delicately scented and light texture gives a unique cleansing experience. Immediately skin is soft, clear and purified. Use for one week helps pores and blackheads appear less visible. Continued use produces purified and revived skin with a baby-soft touch. How to Use: On clean skin, apply a small amount to the face and lips. Apply with dry finger and close product after use. Add warm water and gently massage in a circular motion, avoiding the eye area. Once the sugars have melted, rinse away with warm water. Use 3 times per week. Suitable for all skin types. Do not use on chapped lips or ingest. Rated 5 out of 5 by Hstu78 from Love it Love these products my skin is so soft will buy again.